Only one in four Americans want to invade Iraq again if al-Qaida takes over. 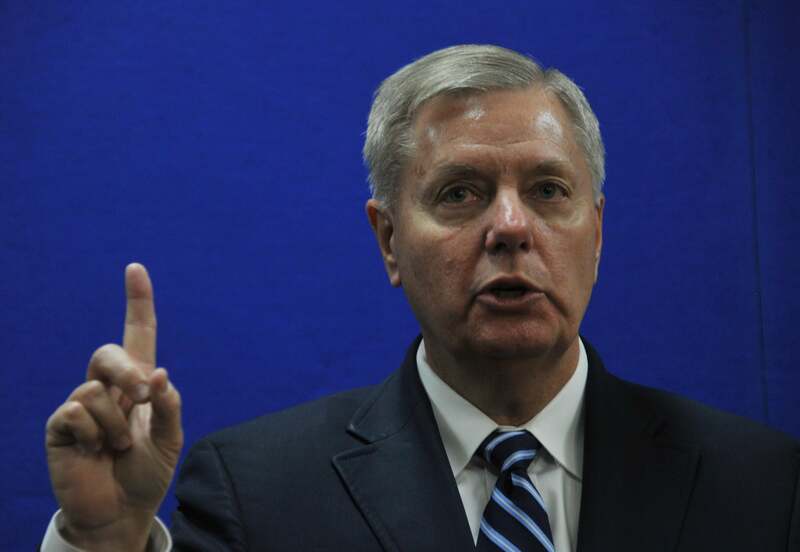 Count Lindsey Graham among the one in four. Rasmussen Reports’ reputation took a beating in the last election, and its founder fell through a trap door, but you know what? It’s still got automatic polls running every day, asking 1,000-odd people a question in the news. That’s useful, especially when it generates a poll like this. One-in-four voters is now prepared to take military action against Iraq or Syria if al-Qaeda-led forces win control there.The latest Rasmussen Reports national telephone survey finds that 40% of Likely U.S. Voters oppose U.S. military action against Syria or Iraq if either of those countries is taken over by al Qaeda or related terrorists. Twenty-five percent (25%) favor military action given this scenario. A sizable 34% are undecided. The poll was inspired by news of the al-Qaida advances in Fallujah, which got mournful coverage in some (mostly conservative) media. Why isn’t the percentage of people who’d take action any higher? Part of an overall trend against intervention, sure, and in part maybe an acknowledgement that al-Qaida wasn’t even in Iraq until the American intervention. It’s all very frustrating to Iraq hawks. As he talked to reporters on Tuesday, South Carolina Sen. Lindsey Graham compared President Obama’s light touch in Iraq unfavorably with the 2007 surge ordered by President Bush.